Enjoy beautiful protected places all year long! 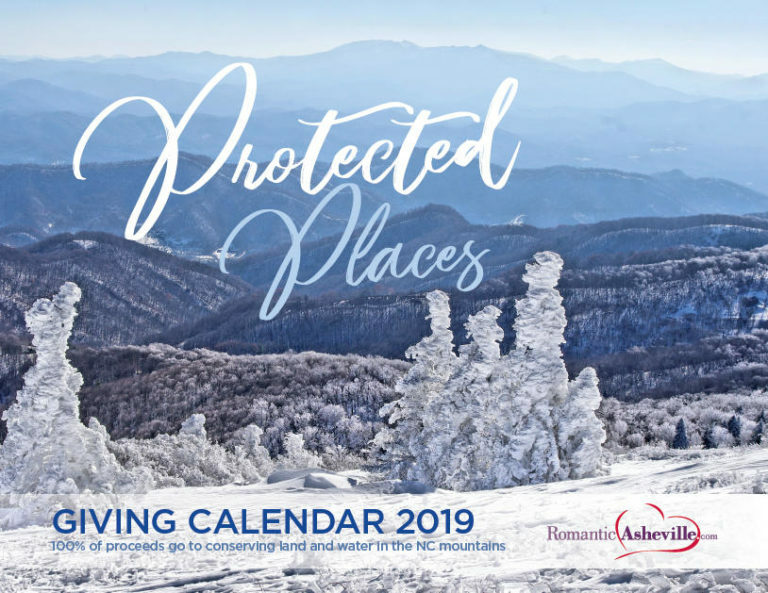 Romantic Asheville has chosen Conserving Carolina and Southern Appalachian Highlands Conservancy for the 2019 Giving Calendar. It’s called the “Giving Calendar” because all costs to create and print the calendar were donated by Romantic Asheville, allowing 100% of proceeds to benefit conservation. The 2019 calendar highlights efforts to protect the land and water of our North Carolina mountains and foothills. Each month, explore stunning protected places in our region, learning a little bit about each place and our organizations’ roles in their conservation. These calendars make a great gift for anyone that loves the North Carolina Mountains, so get several! If you have a business or office, they also make perfect end-of-year gifts for your clients. See more photos from the calendar. BONUS: Each calendar contains a $10 coupon for Diamond Brand Outdoors & Frugal Backpacker. So, if you get the calendar for $10, you’ll get your money back when shopping for outdoor gear. It’s a win-win! 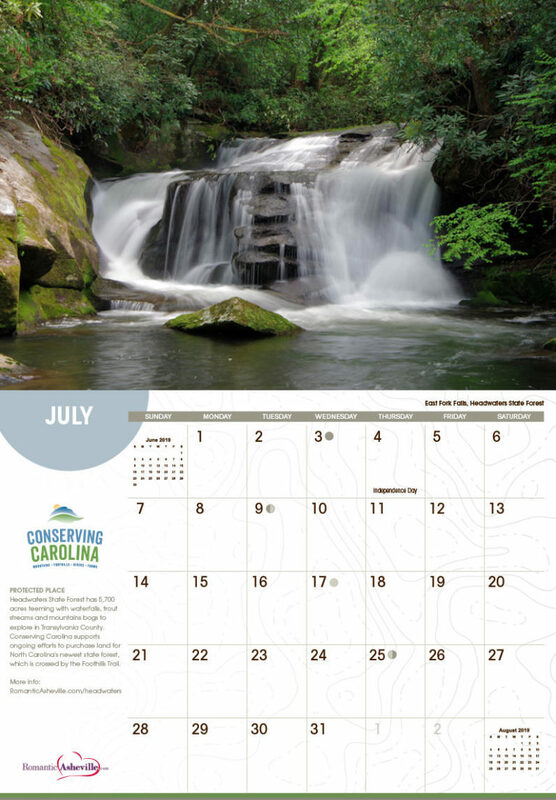 Calendars are also available in person at Conserving Carolina, Diamond Brand Outdoors, and Frugal Backpacker. Any proceeds at Frugal Backpacker and Diamond Brand Outdoors will be split evenly between Conserving Carolina and Southern Appalachian Highlands Conservancy. Calendar photography by Mark File of RomanticAsheville.com Travel Guide.